Lebara offers a wide range of products and services at incredibly low prices in Australia. These Lebara promo codes expire soon, so don’t forget to bookmark this page now. Latest Lebara promo code: Lebara is selling branded mobile phones with price range starting at $499. Grab this offer soon! With a motive to change the exorbitant rates in the international calling market, Lebara was founded in 2001 by Baskaran Kandiah, Rasiah R Leon and Ratheesan Yoganathan. The three of them were in Norway, when they started thinking about creating their own telecom company. Right at the airport, they penned the name of their company by taking the first two letters from each of their names. It’s been almost 15 years since then, and now with more than five million active customers and 1,000 employees, Lebara is one of the fastest growing mobile companies in Europe. Today, Lebara provides a hassle free way of making low cost and high quality international mobile calls. The company takes pride in its charges because the customers get exactly what they pay for and there are no hidden charges at all. Apart from mobiles, Lebara has also ventured into entertainment with Lebara Play, which could be installed with a TV set up box or directly watched on smartphones or Tablets. This is an international and a multi-ethnic service with television shows from all around the world. Flexi Plans: These depend on the countries you want to make calls to and these flexi plans assure you that you are paying for only the services that you need. International: These plans are for select countries and validity varies between 7-30 days. There are separate countries and there are a bunch of countries together in packages, which is a great option if you are travelling somewhere. Data: The data packs provided by Lebara work in any of the international locations. To activate a data pack, customers just have to send a free text message. There are also bolt-on packages available in case customers run out of their monthly packs. Blackberry: Blackberry customers are not left behind by Lebara and they have plans for them as well. Check for Amaysim, Australia's leading mobile service provider offers data plans and talktime at discounted price. Grab best mobile phone offers, broadband internet plans, gas services and more at the affordable prices by using a Dodo coupon code. Lebara always provides a number of offers for their users. Before making any purchase, remember to check our website for coupon codes. Add all the packages or services that you wish to buy, to your cart. Scan our website for suitable coupons. Remember, you can only apply one coupon at a time. Copy the coupon code, and move ahead to the payment page . You will find a section to enter the coupon code, paste it there and click on Apply. You will notice a deduction in the total price, in case of getting cashback credit, you will get it after the payment has been done. If you're looking to buy a new phone or looking to save money on your talktime and internet plan, find the best deals in our cellular phone services segment. Lebara have their own dedicated Youtube channel where they regularly post videos containing announcements and ads. You can subscribe to their channel to stay updated. Here is a link to one of their videos. There are no specific gift cards available for Lebara, but the company allows their customers to earn credits by referring Lebara services to their friends and family. Each customer gets a unique link which they can share with their friends. Every time a new customer signs up using your referral link and get a top up of more than $10, then you get $5. You can invite a maximum of 5 friends. For more gifts card options you can always check out the Figleaves, there you will always find great deals on designer lingerie. The call credit is directly sent to the PayG accounts and customers can redeem them within 30 days of getting it. Apart from that, customers can also gift their call credits to other Lebara users through a single SMS. 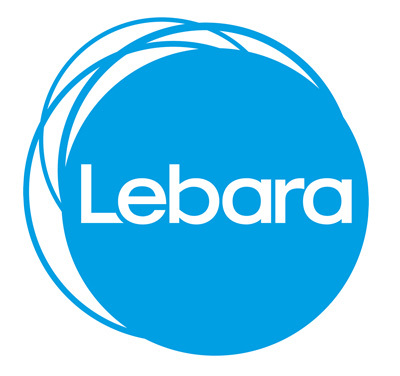 Lebara provides several ways for its customers to connect with the company’s support and resolve their issues. Lebara is active on several social media platforms, and they also resolve customer issues through them. So if you have a question, you can directly ask them on Facebook or Twitter.